With this award come tasks that have to be done. I must share 11 random facts about myself, there are questions for me to answer, a list of my nominees, and questions that I want to ask those nominees. So here goes…. 1. I am happiest when I am single. 2. I love the smell of gasoline. 3. I have never smoked pot or taken any other recreational drug. 4. I have a cat named Rabbit. 5. My great-grandparents were both deaf mutes. 6. I have friends that go back almost 40 years. 7. I have been a Parent Aide for New Hope (a place that helps abused women). 8. My favorite color is green. 9. I once cooked broccoli by cutting off the tops and cooking the stems (hey, I didn’t know..lol). 10. I went to the store a few weeks ago with my shirt on backwards (noticed it while I was shopping. Good thing there was a restroom). 11. I am seriously thinking of going back to college to obtain a Bachelor’s Degree in Creative Writing. 1. Tell us something that you honor about yourself. My character is what I honor about myself. Anyone who truly knows me will agree that I am honest, never deceitful, and trustworthy. I treat all living things with respect. I am very fair. I am kind and compassionate and help those in need when I can. I respect authority. I like the person I am! I honor the way that my family is always there to help each other. They also offer unconditional love. I honor the comfortable feeling my home gives. Within its walls are the feelings of peacefulness, safety, and love. I honor the way my community will pull together in times of crisis. My community is always helping those who are in need. I honor my country for the freedom that it offers. I honor those who make this possible by serving in the US military. 6. What brought you to the world of writing? I come from a long line of writers so I have always been exposed to the art of writing. I like expressing my feelings through the written word. 7. What keeps you writing? Nothing lifts my spirits more than time spent with children and grandchildren. 9. How and where do you engage with nature? 10. Do you feel connected to a particular place? I think the one place I feel most connected to is Massachusetts. It is where I was born and raised. It is home. 11. And/or do you feel that you write out of this place? Not exactly sure what this means. 1. My biggest pet peeve is…..
2. What punctuation mark best describes your personality? Why? 3. Is the glass half empty or half full? 4. If you were blind for the rest of your life what would you miss seeing the most? 5. If you could have one super power what would it be? Why? 6. When did you last write a handwritten letter? 7. If you could mix 3 animals together, which ones would you choose to make the ultimate animal? 8. If you were given 3 wishes what would you wish for? 9. If you could have picked your first name what would it have been? 10. What are your goals in life? 11. How has the Internet affected your life? 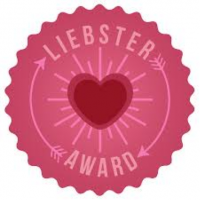 This entry was posted in All, Blogger Awards and tagged blogging awards, Liebster Award. Bookmark the permalink. My family will never let me forget that broccoli story..lol Glad I made you laugh. You are also a star! You write awesome blogs…keep up the great work! oh cheryl great replies and how unique each and everyone of us is as well as so many threads of commonality. I honour you Cheryl for your honesty and your quirky shirt on backwards take on life. Thanks Sandra. You are honorable as well. And thank you so much for nominating me. I am honored! Thank you and you are welcome. I really enjoy your blog.